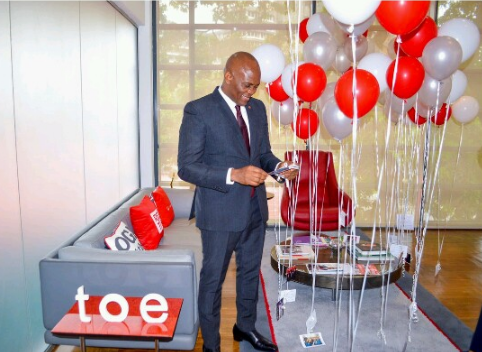 The Chairman of UBA Group, Tony Elumelu turned 54 on Wednesday March 22. 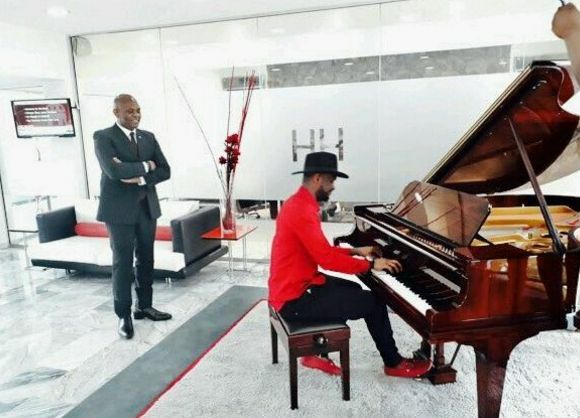 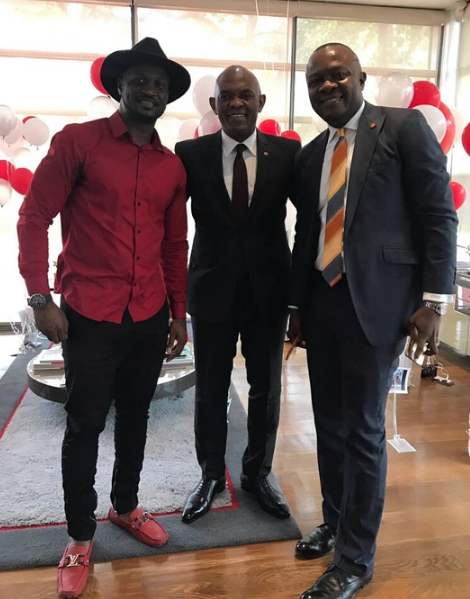 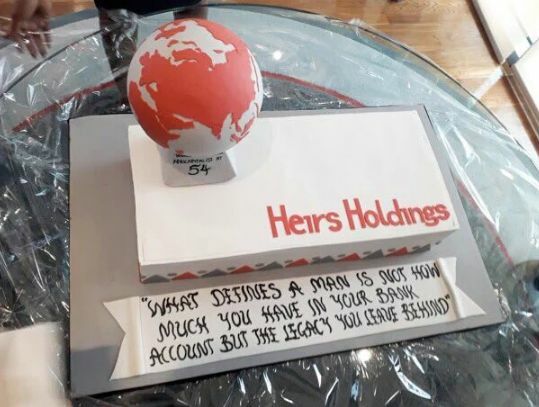 He celebrated with his colleagues in the office, while Pop singer, Peter Okoye played live for him. 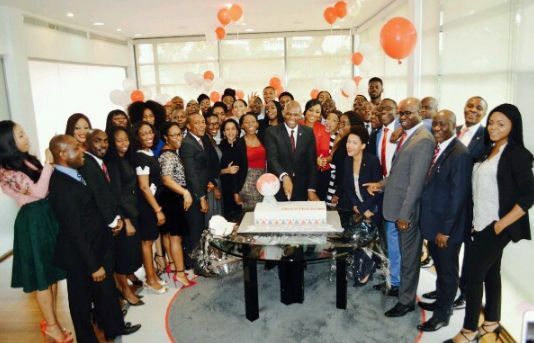 His colleagues also surprised him with 54 balloons.